Situated in an ‘Area of Outstanding Natural Beauty’, Thurlestone is a fantastic location to play golf and tennis. Running along the stunning coastline of Bigbury Bay, this Harry Colt designed course is a mix of links and cliff-top terrain with the latter providing breath-taking views of the legendary Thurlestone Rock to the East and the beautiful Avon Estuary and Burgh Island to the West. The course is one of the most exhilarating with majestic rocky seascapes above the coves where smugglers used to operate. It is also ideal holiday golf - not too severe, with quite generous fairways but the wind, of course, can blow with a vengeance. Thurlestone Golf Club have a comprehensive frost policy on both leaf frost and ground frost. For further details of this policy please click here. Thurlestone Golf Club: Course Open : No Restrictions. Mike Doyle and Lesley Saffin the new captains both had great drives today. The winners of the 11 hole Greensome competition were Judith and Richard Lungmuss with 28 points. Second were Liz Hay and Tony Adams with 27 points. If you are looking to join a Club ranked in the Top 100 in England with a challenging course that will have you returning for years to come, then you must experience Thurlestone and all it has to offer. As well as a magnificent 18-hole course, the Club also boasts two hard tennis courts and ten grass courts - the highest number in the whole of the South West. 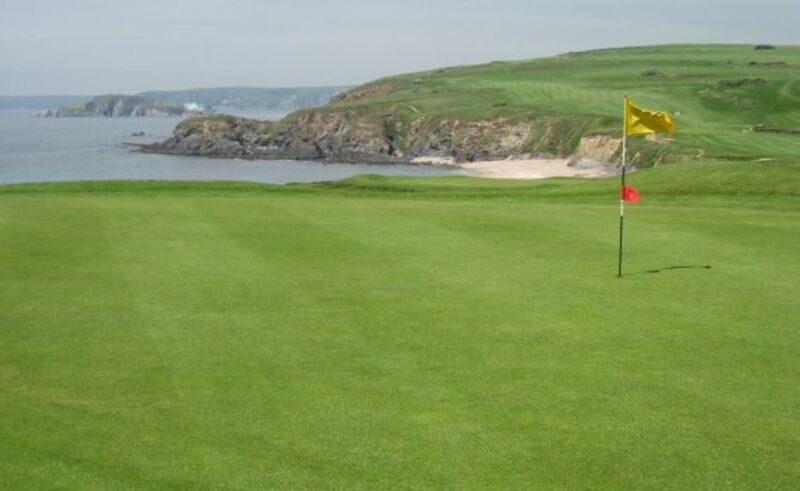 All visitors are given the friendliest of welcomes at Thurlestone Golf Club and we will strive to give you an excellent golfing experience from the moment you arrive.